Boy, oh boy, have I been lazy about blogging lately or what!? I swear I have less time now than when I was working full time and I can't for the life of me figure out how that works! I haven't been idle, though. I did manage to get another of my designs previously only offered as an online class converted to a .pdf download. 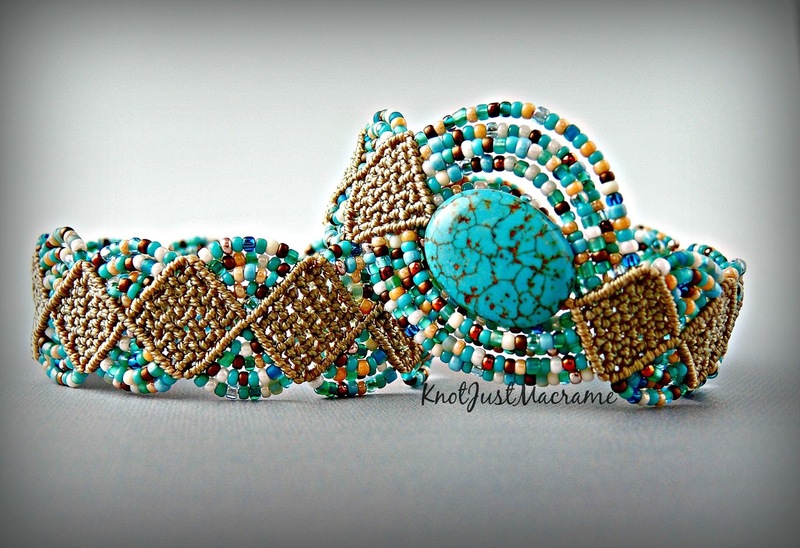 It's the Woven Diamonds micro macrame bracelet and it's one of my favorites. 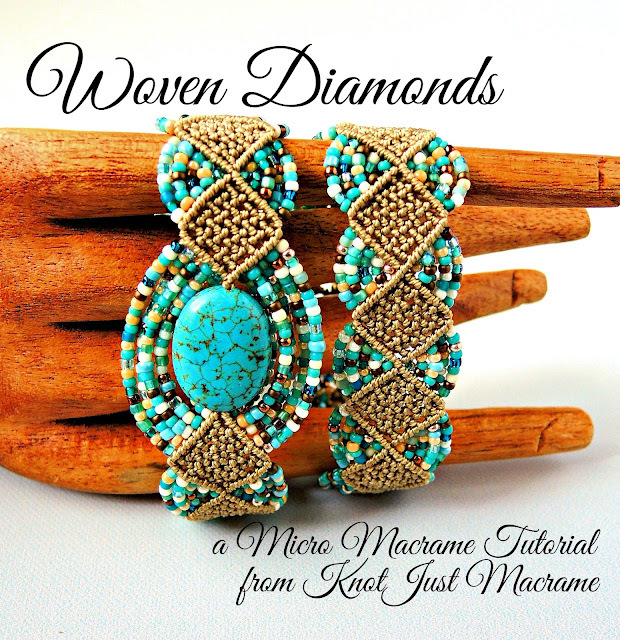 I love the contrast of the textured (knotted) diamond sections with the smooth arcs of beads. The bracelet can be made using a focal bead or without it - both versions are covered in the tutorial, which you can find here in my Etsy shop. Isn't this a fun piece? 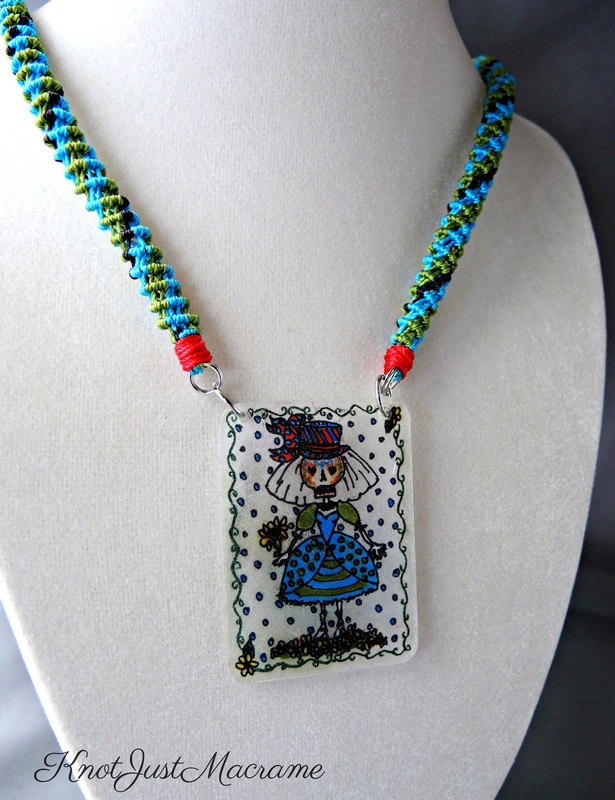 I finally got around to making this skeleton bride pendant into a necklace. I made the pendant last year using ShrinkyDinks plastic and colored pencils and I just love how she turned out. 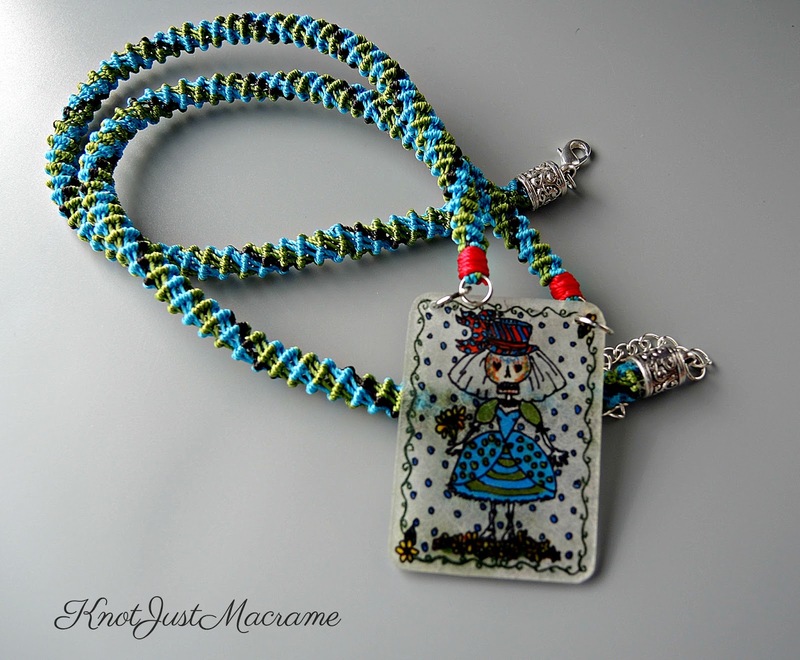 To make a necklace, I added some knotted macrame straps with a cool spiral pattern, pulling out the green and blue colors with a hint of black. Then I put just a pop of red where I connected the straps with the pendant. 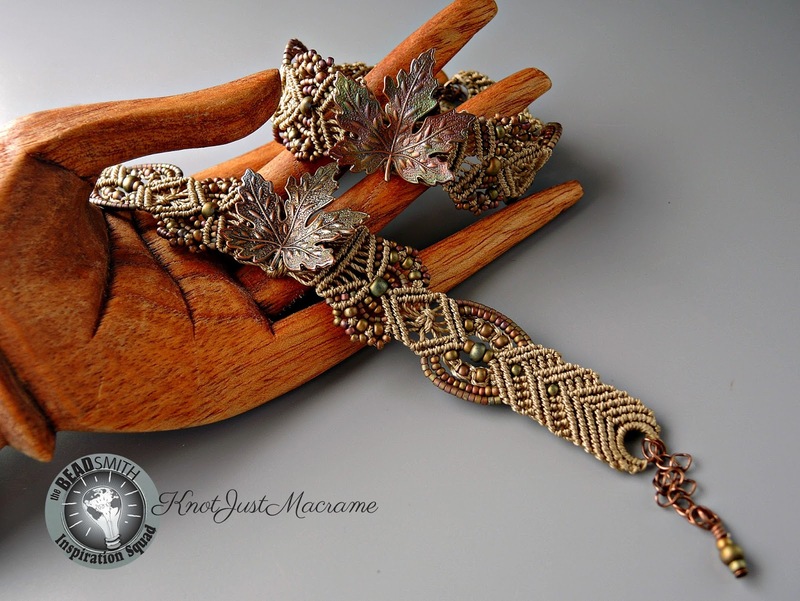 A couple of jump rings and a clasp and voila! That's not all I've been doing, either! I am working on a tutorial that The Beadsmith will be distributing, which should be out soon! Now if I could just find time to get everything listed, I'd be on a roll! Congratulations on your progress. Your designs are so pretty. In the last 2 weeks I bought 2 tutorials and I loved them. Here in South-Africa I can't find Superlon cord and Macrame is not very well known. But I'm still searching. What kind of stores do you usually buy it from? Thanks for your great designs. I love it!